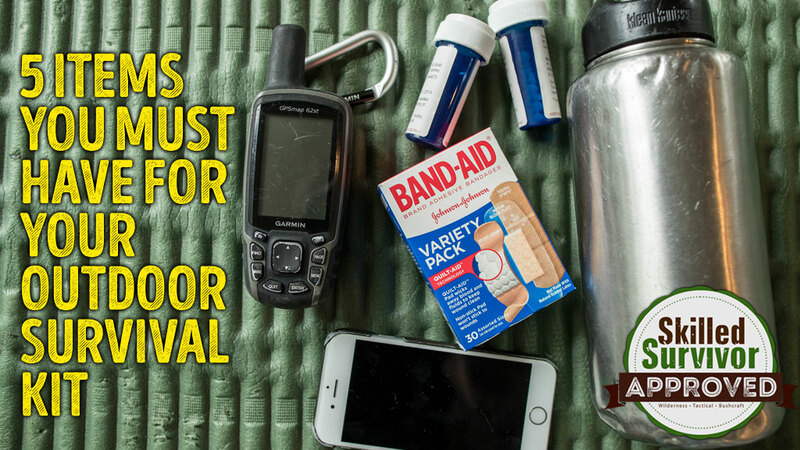 When you need to be sure that you are able to make the most out of any camping trip or outdoors life as a whole, you owe it to yourself to put together a survival kit that will be useful. This will protect your health and well being every step of the way, so that you are able to maneuver accordingly and enjoy everything that the great outdoors has to offer. To make sure that you have all of your necessities for your kit, read on and never head out on a trip without a kit full of these items. Communication options are crucial anytime that you are heading outdoors. Even if you have a cell phone, you should keep a backup battery or a backup cell phone use only in the case of emergencies. This way, you will be able to contact authorities if ever in need. You also need to make sure that you purchase a radio that allows you to listen to communication and also send correspondence whenever necessary. In terms of your health and well-being, make sure that you pack plenty of bandages, gauze and tape in order to stop the bleeding. You will be able to detect yourself from serious injuries when this happens. In addition to having a first aid kit, learn some first aid tips that will be useful to you in your travels as well. You need to make sure that you always have medications available which will be useful. For example, painkillers are a must have and will allow you to deal with an injury if you happen to sustain one. You should also stock up on medications for allergies, colds, fevers and any other such ailments. By having these medicines available, you will have the opportunity to stay as healthy as possible during your camping trip. There are a number of navigational tools available to you that you can use if you happen to get lost. With today’s camping equipment, you can buy an entire GPS system which will track your progress and also let you know where you are headed. If you prefer to rough it, you need to at the very least be sure that you have a compass that lets you know which direction you are headed in. Finally, you need to take care of your health and nutrition at every single juncture of the trail or campground. In doing this, pack food that is very easy to prepare and that provides you with nutrients that give you energy as opposed to taxing your body. Be sure to get plenty of protein and food that is easily digested. You also need to be sure that you pack some extra water in case water supplies are hard to come by wherever you are. Bring along some cooking utensils or other tools so that you can cook meat or prepare fish that you catch in your travels as well. By packing these items, you will stay on top of your nutrition and will get plenty of calories as you continuously hike through various trails. You need to stay hydrated and well fed in order to have the energy to get through these days. By taking advantage of these tips, you will be in a great position to be a better survivalist in any sort of outdoors trip that you’re taking. Whether you are an avid camper or someone who is just getting started out, these items will be useful to you and allow you to make the most out of any trip you are taking. Factor in these five points so that you get the most out of your trip.